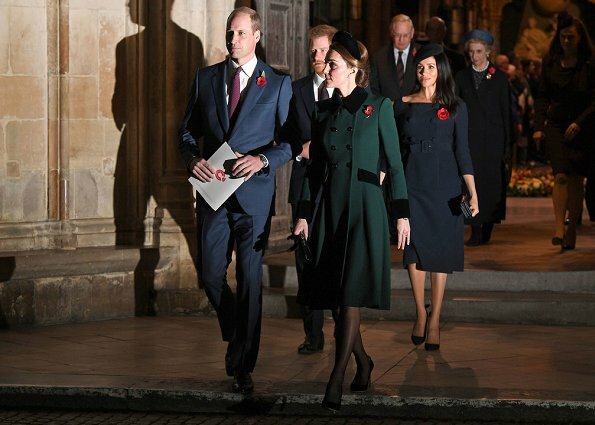 In the evening, Queen Elizabeth II, the Prince of Wales and the Duchess of Cornwall, the Duke and Duchess of Cambridge, the Duke and Duchess of Sussex, the Duke and Duchess of Gloucester, the Duke and Prince Michael of Kent attended a service marking the centenary of WW1 armistice at Westminster Abbey in London. The armistice ending the First World War between the Allies and Germany was signed at Compiègne, France on eleventh hour of the eleventh day of the eleventh month - 11am on the 11th November 1918. 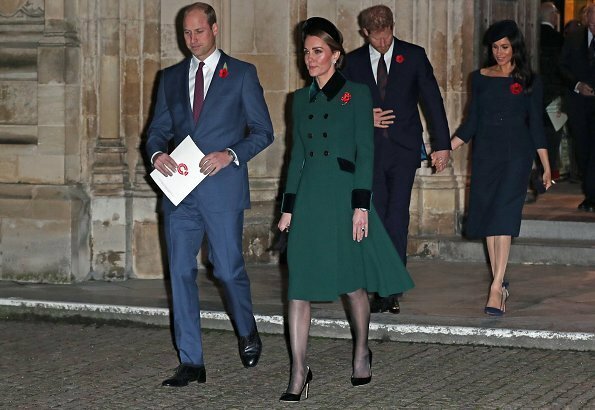 (Kate's wearing her green Catherine Walker coat). Yea! So glad Catherine wore this dress again. Loved this coat/dress when she first wore it on St Patrick's Day. The color, velvet and style..beautiful. The Queen, as always, is superb. 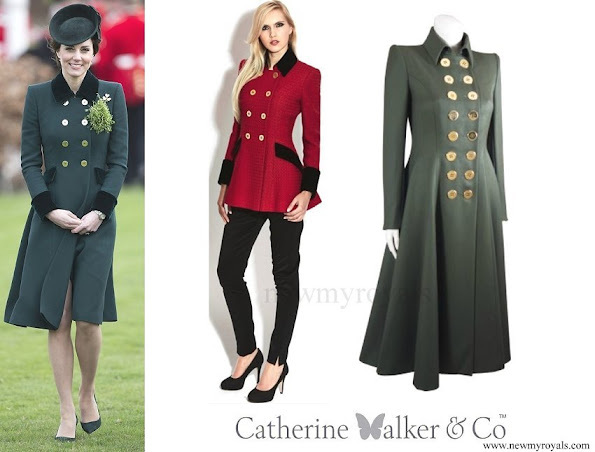 Catherine looks very good in this coat. Everybody look very good, specially Meghan. 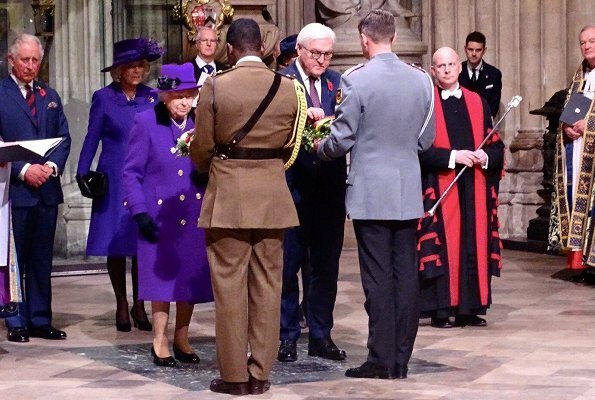 Unser/Mein Bundespräsident Steinmeier neben der Queen. Eine schöne Geste, schöne Bilder. 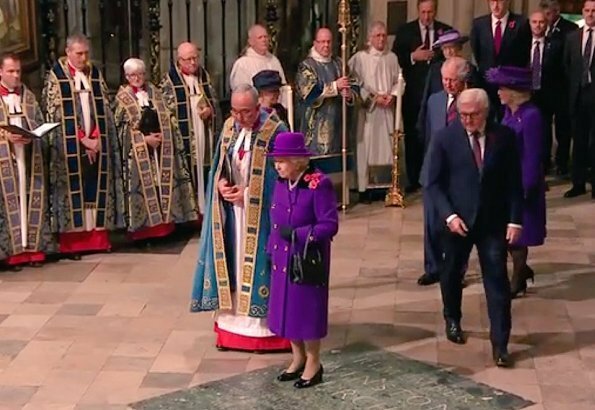 Camilla und die Queen haben sich farblich abgestimmt. Alle sehen hier gut aus-es geht eben auch mit ein bisschen Farbe, nicht immer nur schwarz. 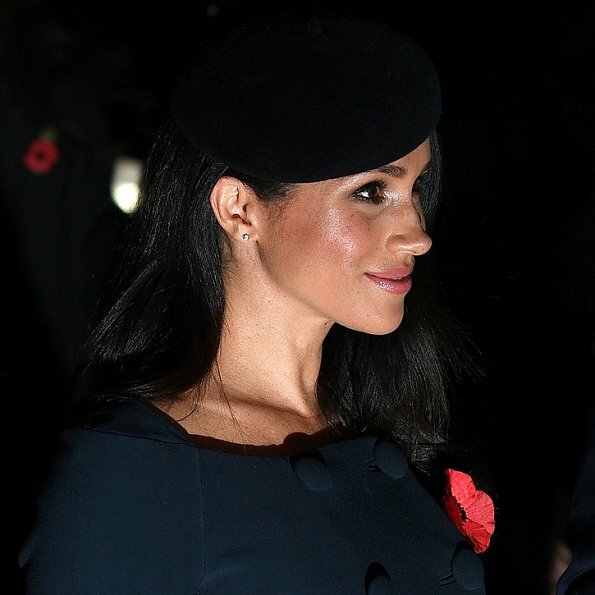 Meghan is stunning. Her suit is impeccable. The Queen always looks perfect. Kate's look is not one of my favorites this time. Megan's neck line is not appropriate for the occasion. I guess you can take the actress out of Hollywood but you can't take Hollywood out of the actress. 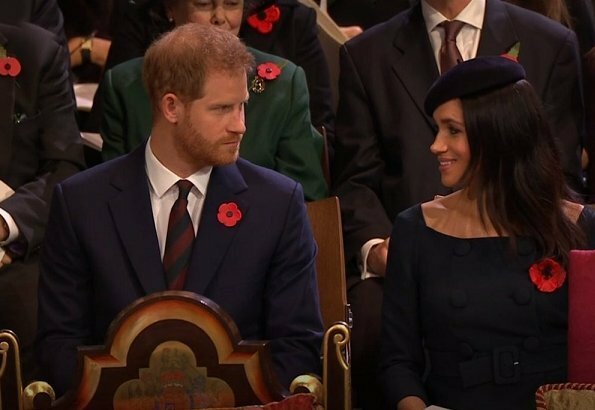 The suit/dress or whatever is pretty enough but the neck line is most definitely not right at church for the kind of service they were attending. I’m sure this will sound very silly but looking at this event, one got a sense that they took the pecking order very seriously. 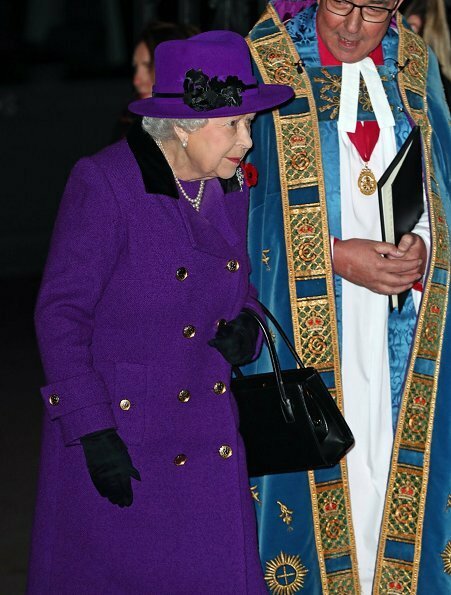 The queen and the next queen consort in saturated jewel tones and big hats, the next most senior lady, another future consort in a jewel tone but a quieter hat and wife of the last of the senior most royals is quiet and elegant blue. 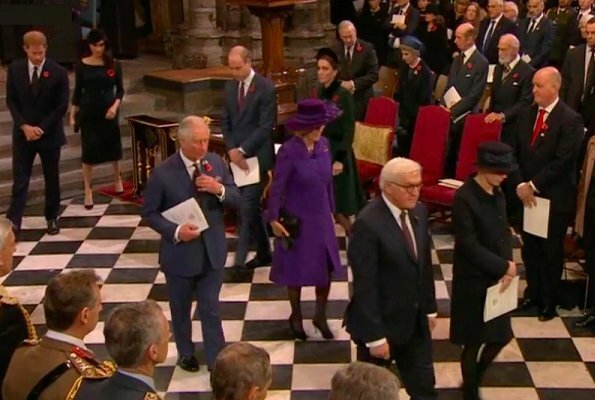 Prince Charles and the gentleman next to the Queen in the first photo are also wearing blue suits. Everyone looks so elegant and nice. Kate has got fashion tips from the Queen again. The Queen and Catherine look lovely. 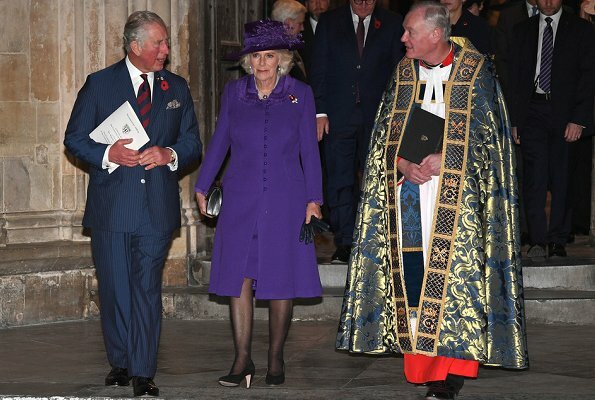 However, Camilla should never have worn the same color as the queen, in my perception, it was rude. I thought the same thing. 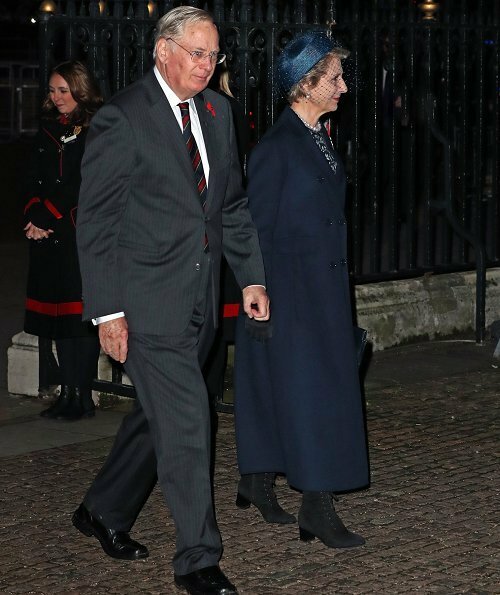 I have noticed through the years that Camilla does like to mimic the Queen quite a lot, down to using the same umbrella. She also chooses very grand tiaras, almost putting the world on notice that she is waiting in the wings. I wonder if that is true. The Queen Mother and Margaret would vety often be coordinated with the Queen. That had to have been planned. Lovely outing. 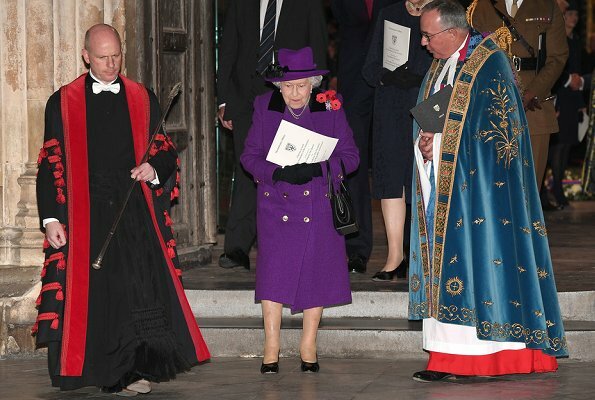 Love the Queen's outfit as well as Camilla's more muted colour. Catherine also looks lovely in the green. 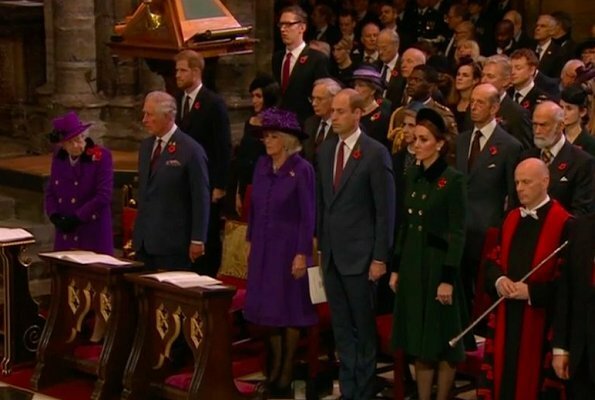 The Queen and Camilla in purple looks very nice. so do Catherine and Meghan. 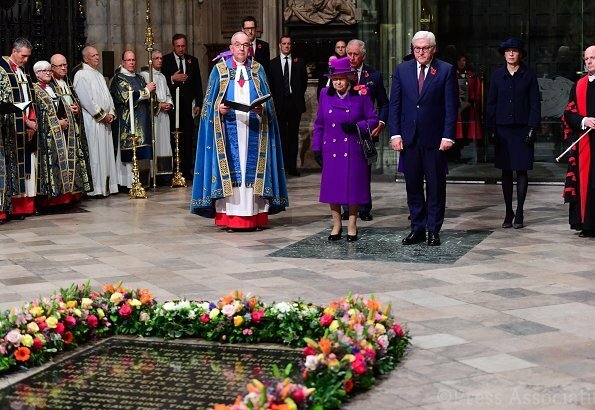 This event is not about fashions but about remembrance of a dark time in History. Everyone looks nice. 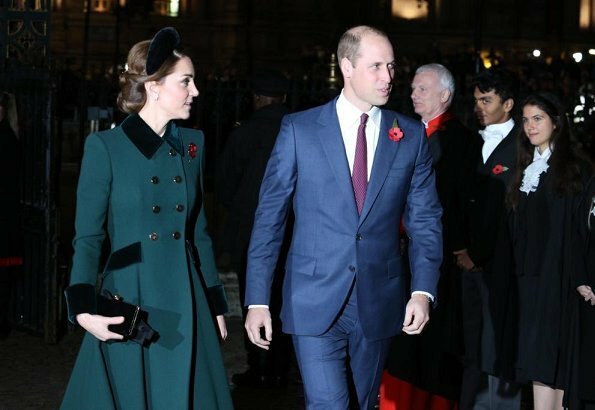 It looks as though the Duchess of Cambridge had the buttons on her coat changed to non-metallic; nice detail. 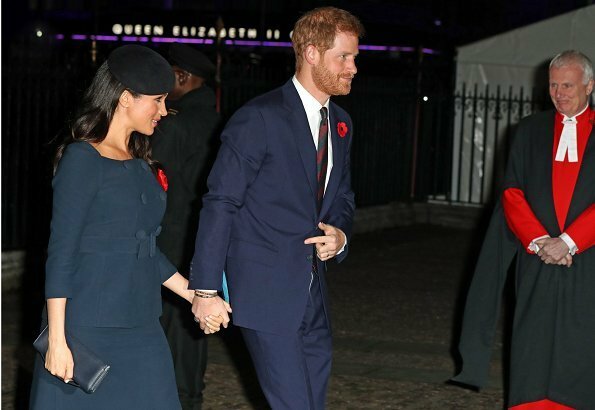 Her hairband echoes the shape of the kokoshnik style tiara Pss Eugenie just wore to her wedding.